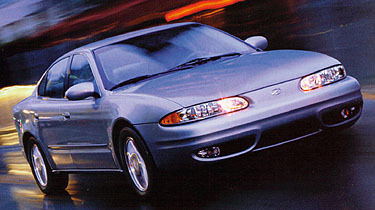 Alero returned for largely unchanged from the previous model year. There was a larger Oldsmobile badge on the trunk. Exterior color palatte was revised. Tan interior was discontinued and Pewter became available in leather. No-cost cloth interior option was discontinued from the GLS. New Getrag 5-speed manual transmission was supposed offered, but production problems delayed its introduction until 2001. 1999-2001 Aleros are visually identical.